Jumat Bersedekah (Friday charity) movement keeps being intensified during Ramadan in North Jakarta. Besides the government offices, it is also targeting schools.
" This makes it easy for people who have the advantage to share"
North Jakarta Mayor, Husein Murad disclosed it is led by Muslim Charitable Donations Board (Bazis). Technically they prepare the boxes and the officers to conduct jemput bola. "This makes it easy for people who have the advantage to share. Incidentally the holy month of Ramadan is a very good time to increase alms," he expressed, Friday (5/18). The achievement is not targeted in the activity, but only hope it could be socialized widely and touch the more people. 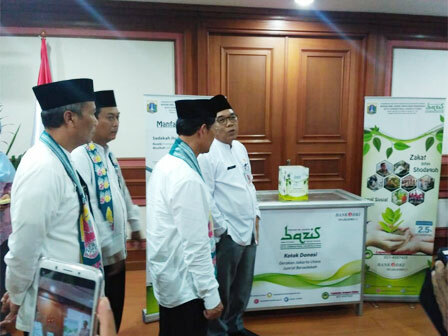 The results achieved by Bazis will be used to implement the empowerment program of the Ummah. All Bazis' revenue and expenditure will also be audited by an independent auditor. "This is important to support Bazis programs for better results," he uttered .